Lovely dark fossilstone tea light holders in the shape of a dolphin, measuring around 150MM long approximately. 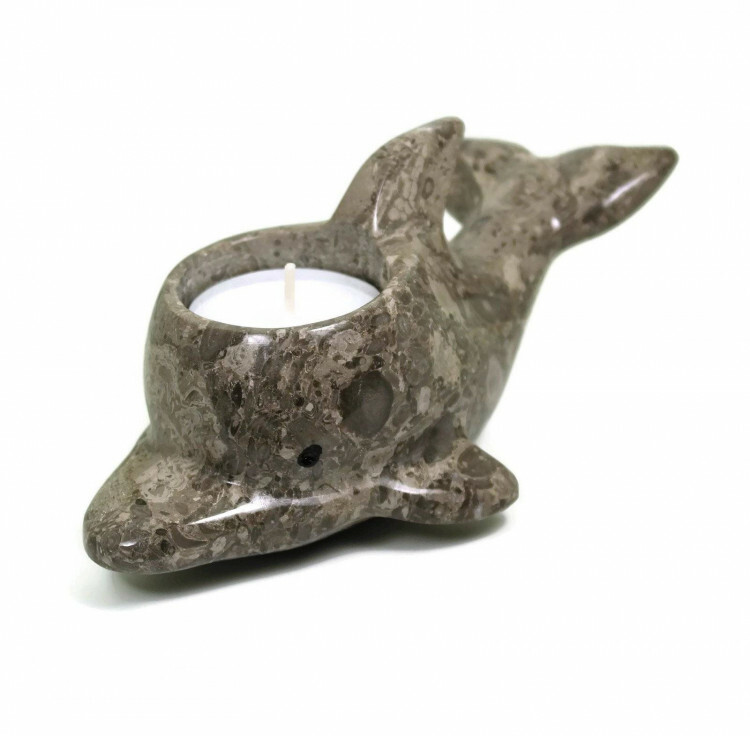 Dark Fossilstone dolphin tea light holder, carved from a single piece of fossil filled matrix. Fossilstone is an unusual stone, it is cut from a piece of rock with many fossil inclusions so it can be a wide range of colours from light to dark – these pieces are dark. 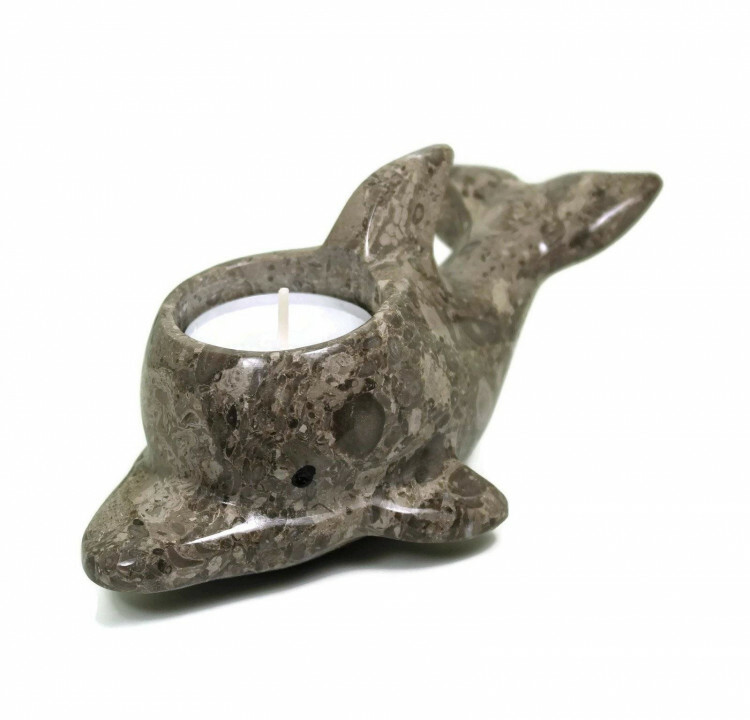 These pieces have been cut into tea light holders in the shape of an dolphin, measuring around 150MM long. For more information about Fossilstone, and a full list of all our related products, please see our main ‘Fossilstone’ page. Not a fan of dolphins? We do also sell a wide range of other semi precious tea light holders.